Don’t try to fix things that aren’t broken, and improve things that need improvement. That’s our motto since we continued development on Cross of the Dutchman. Luckily, we’re not the only ones that pointed out what needs improvement; a bunch of people from outside the office got to play the game, and told us what they think about it. Combined with our own findings, we have a clear idea of where we want to focus our efforts with the time frame we have for the game. Today we’ll summarize all the changes we’ll make in the game. But don’t worry, each topic will get it’s own post in the coming weeks with a lot more info. This is probably the biggest change for the game. Instead of a ‘3rd person’ view in which the character and camera are controlled independently, the camera will be in a fixed position now. This allows us to design the levels according to the camera position, which makes for a more cinematic and user friendly gaming experience. Compared to the old build of Cross of the Dutchman, the levels will be more compact which allows us to focus more on details. As chopping up enemies will be Greate Pier’s main activity, combat has to be spot on. We’re aiming for shorter and more powerful blows, that will result in a better feel of real impact. Moreover, the feedback you get as a player when you take or strike a blow will be improved. The combination of these improvements will result in the player feeling much more emerged in the battles. From the very start of the project, it has always been our goal to tell the legend of Great Pier through the game. The cool thing about video games is that you can tell a story in so many ways. One of these ways that we’re adding is POI (Points Of Interests). 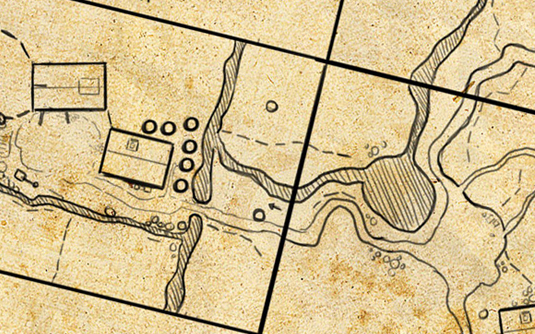 This means that the player can call upon background information on the 16th century, as they happen in the game. For example how people dealt with crime, architecture, food, you name it. To help us with this, we’re happy that Ate Grypstra, the writer of the Cross of the Dutchman novel,will join us once more! Greate Pier might be a farmer, and when you piss him off he can be a brute. But even brutes want to look good. 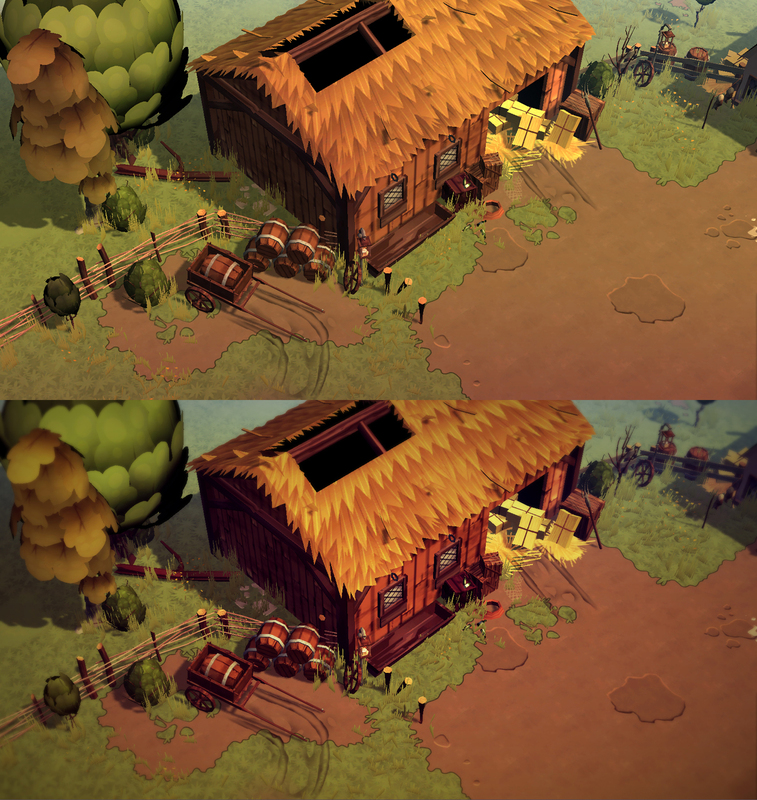 We will give the game a better look with more contrast and brighter colors, as seen in the picture below. There will also be day and night scenes! Really excited about the changes! Looking forward to see more of it! Looks great, especially the farm shed! “As chopping up enemies will be Greate Pier’s main activity” haha! The changed graphics work out great; nice side-by-side comparison… I especially like the ‘out-of-focus’ fading around the edges/in the distance. Nicely spotted. It really works well in motion too. Helps you focus on the bits that are important. Namely the sword-swinging brute in the center of the screen. Admittedly he is kind of hard to miss.